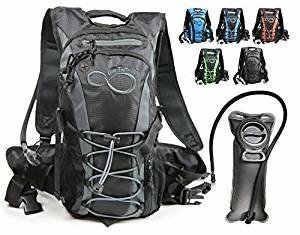 *Super lightweight hydration backpack pack is compact and low-profile and perfectly built for lightweight pursuits like running, road biking and ultralight hiking . This hydration pack backpack feel light and stable on your back and won't create any wind resistance. *This hydration back pack has 3 extra layers including an easy access mesh front layer and other two zippered side layers which will ensure you enough space for different essentials. 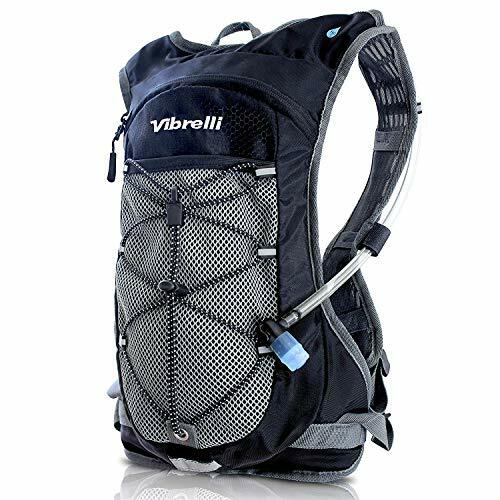 *This water resistant backpack has adjustable hip belt and shoulder straps that can be modified to fit your torso, which can be used as women , men and kids hydration backpack. 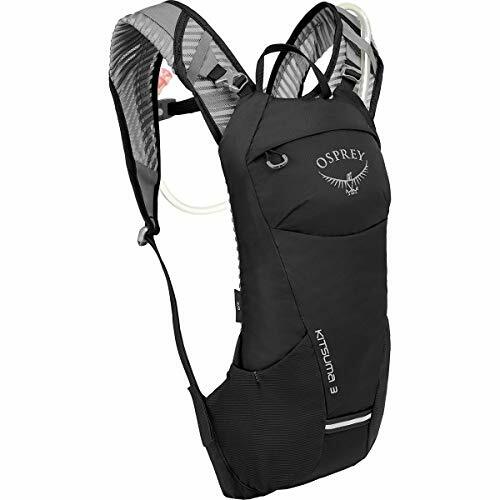 * With breathable backpack panel for dry , this water backpack will keep you away from the wear and tear during sports . This popular bladder sizes offer a nice balance of reasonable weight and bulk while providing a sufficient quantity of water. This backpack water bladder include a drink tube that easily disconnects from the body of the bladder, which is nice when it's time to refill the bladder mid-hike. You simply disconnect the tube with the press of a button and pull the bladder from your pack. This allows you to leave the tube in place, which is especially handy if you have it routed through a tube portal. This bladder is with Wide-mouth opening ,which allow you to fit a hand inside the bladder, which makes cleaning and drying easy. And You can easily add ice from a scoop or an ice dispenser. It will keep the water cool up to 4 hours . 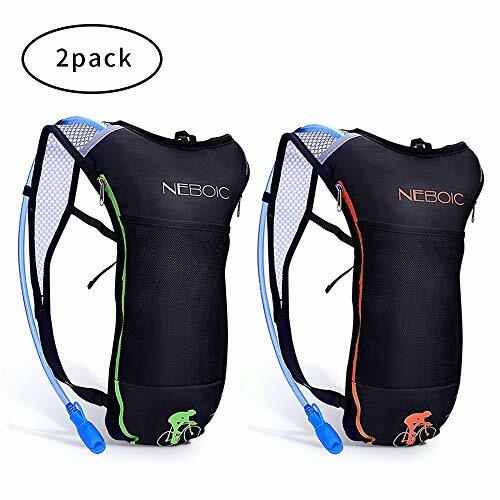 2Packs Lightweight Hydration Backpack-They are compact and low-profile , perfectly built for lightweight pursuits like running, road biking and ultralight hiking . They feel light and stable on your back and won't create any wind resistance. Hydration Pack with 3 Extra Pockets -Including one easy access mesh front pocket and other 2 zippered side pockets will ensure you enough space for different essentials. 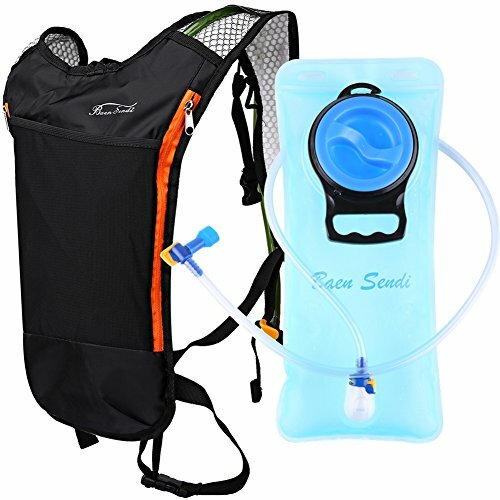 Perfect Form Fitting Water Backpack- It has adjustable hipbelt and shoulder straps that can be modified to fit your torso. 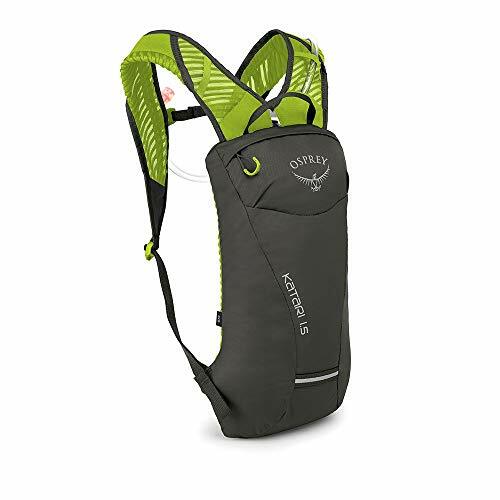 2 liters (70 oz) BPA-free Hydration Bladder-The perfect size offer a nice balance of reasonable weight and bulk while providing a sufficient quantity of water. Quick-Disconnect Tubing -The drink tube that easily disconnects from the body of the water bladder which makes simply to refill midhike. And the wide-mouth openings allow you to fit a hand inside the backpack water bladder, which makes cleaning easy. The Easy Sipper is a plastic insert made for the Nalgene Wide Mouth bottles. You can have the convenience of a splash free and easy drink, but also have the popular wide mouth opening. Days Worth Of Gear- Different size and purpose driven pockets assure that you can bring everything you need! Use the small pockets for keys, credit cards and valuables; and larger pockets for the bigger gear. They fit up to a 13 laptop, DSLR, Go Pro or anything else you may want. Multiple carabiner attachment points and exterior pockets to take even more. Diverse, Durable & Dry- Constructed using extremely durable 600D polyester that is water resistant and designed to last for years. With a convenient headphone jack you can even jam out while keeping your phone dry. Perfect for hiking, cycling, camping or just a day trip. Outdoor sports need to be replenished moisture at any time. belonging safely along with you. The Baen Sendi Hydration Pack Gives you 70 Oz. Guaranteed Enough Hydration for Your Outdoor Sports. Backpack with 3 storage compartments and zippers on sides. Front pocket big enough for essentials or snacks. Middle pocket for clothes and the main compartment where you could put a towel alongside the hydration bladder itself. The main compartment is covered with Nylon material which serves two functions. 1. It is water resistant so your belongings stay dry in light/medium rain. 2. It is also durable reduces wear and tear so your pack lasts longer. straps and waist straps prevents bounce from exercising . pressure-tolerant and leak proof for carefree biking, running, hiking and other outdoor adventures! Backpack doesn't meet your standards, just send it back for a replacement or for a full refund. PERFECT SET - The order Include an 2L FDA APPROVED bladder & a Hydration Pack. The weight is very light, backpack and 2L bladder add up to 0.79 pounds. Use more convenient, effort. Exterior zipper pockets on sides help you to stash your essentials such as: keys, smartphone , iPad or wallet. WILL FIT YOU PERFECTLY: Adjustable shoulder/chest /waist straps. The Shoulder/chest /waist straps makes sure it doesn't bounce when you move. The straps is made of strong nylon material, Wearable,durable . Suitable for accommodating 1.5 L and 2 L of the water bladder. WATER RESISTANT AND DURABLE: The main compartment is covered with Nylon material which serves two functions. 1. It is water resistant so your belongings stay dry in light/medium rain. It is also durable reduces wear and tear so your pack lasts longer. FDA APPROVED: Food-grade premium quality anti-bacteria materials. Professional military 2L Hydration Bladder,Eco-friendly material,100% odorless, tasteless, BPA- Free material. Best for hydration pack. Thick bladder material is pressure-tolerant and wear-proof, Not leaking. GUARANTEE: Order the Backpack with confidence! 100% satisfaction guarantee. If for any reason the Hydration Backpack doesn't meet your standards, just send it back for a replacement or for a full refund. SELF-SEALING BITE VALVES have one-piece construction so there are no water drips. DURABLE AND SOFT for wholesome flow from your water bladder. SERG Hydration Pack, Camel Pack - Hydration Water Backpack, 2L TPU Leak Proof Water Bladder, Reflective,Small Light Weight, BPA FREE, For Women Men Kids. Prefect Gear for Running Hiking Cycling. NOITCE: During exercise, the body loses a large amount of fluids, so it is essential to compensate the body for the water it loses, even in order to maintain its performance and achievements. Did You Know? The Hydration pack is designed principally to transport water and make drinking convenient and efficient. 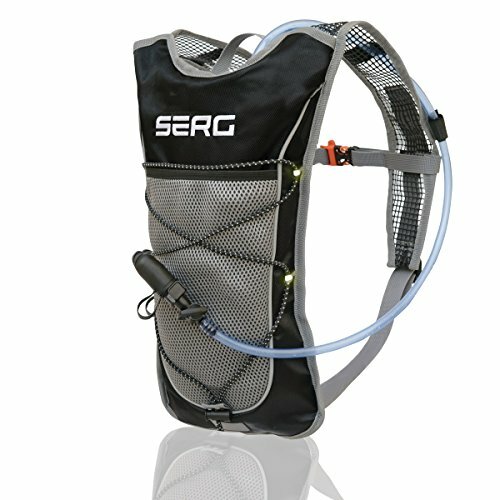 In fact, with SERG running backpack you don't have to stop, or even slow down, to take a sip of water; you simply grab the drink tube that's connected to the bladder and drink the water that your body has lost . - Water bladder is Made of high quality TPU leak proof materiel. - Capacity 2 liter / 70 oz. - Quick release tube. - Tasteless & BPA free. - FDA approved & anti-bacterial. - Fits to any backpack. - Safety whistle for emergency situations. - Small dimensions and light weight. - Reflective for your safty. - Made of excellent Jacquard fabric material. - Large quick access mesh pocket. - Soft and Breathable shoulder straps. - Adjustable Chest Straps to prevent bouncing. - Durable and extremely comfortable. - Suitable for any sporting activity. SERG Black hydration pack comes with 70-ounce/2 liter bladder, Reflective for your safty, deep pocket for snack and wallet, Low-profile athletic cut rides above jersey pockets, below bike helmets. Adjustable waist/shoulder fits men and women. Wide mesh straps and chest shock absorber reduce bounce. Cushioned, ventilated back panel. FDA-compliant food grade bladder constructed with triple-heat sealed edges, 2" opening for easy fill and cleaning, cushioned bite valve, twist-lock to prevent leaks. 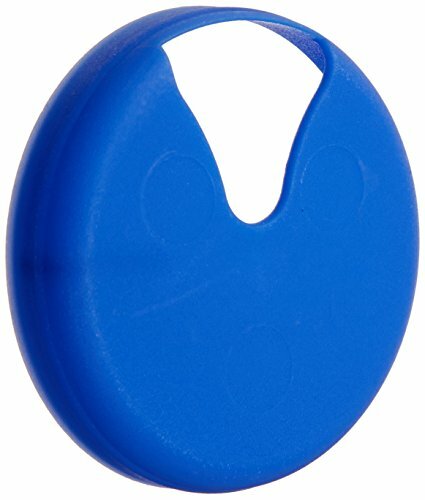 Hydration water bladder is made of the most durable, flexible and thick TPU material on the market, BPA free and FDA approved, Safe and non-toxic TPU material. It is completely pressure-tolerant and leak proof for carefree cycling, running, hiking, hunting and other outdoor adventures. Hydration backpack is extremely Light and weigh only 0.7 pounds, Made of high-quality Jacquard fabric material that gives you a very comfortable experience. The bag has two chest straps that make sure it doesn't bounce when you move. In addition, there's a mesh bag in the front of the bag that allows you to store your mobile phone, snacks or any other object you'd like to take with you to your activity. After studying customer reviews we've decided to design a mouth piece that's extremely thick and soft for water to flow smoothly and easily. For your convenience, there's a accessible shutoff valve for easy drinking and a antimicrobial mouthpiece for your health. WHY SHOULD YOU CHOOSE SERG? - MONEY BACK GUARANTEE - Our goal is to make sports and shopping easy with the right gear and by that to improve our customers training and exercising experience. In case you are not satisfied for any reason of our product exclude normal wear and tear (e.g., zippers that wear out after extended use), we would love to hear your thoughts and offer you a full refund for your purchase (up to 60 days from transaction day). Why Choose This Performance Hydration Backpack? This lightweight and durable Hydration Pack has lots of intelligent features: Quality water bladder technology Insulated water bladder and hose Breathable backpack shoulder straps & 420D Ripstop Fabric is tear & water resistance Safety whistle for emergency situations Reflective safety tabs help keep you visible Easy access outer mesh pocket External bungee straps for additional carrying - eg helmets and jacket Adjustable backpack chest and waist straps to ensure the perfect fit Ergonomic side stabilizers on the waist strap hug your body keeping the pack centered and anchored to your core Key attachment clip to keep your keys secure Shut-Off Bite Valve is Easy to Use & Won't Leak! The hydration bladder is made from a taste-free bladder film that is made in the USA, then assembled in cleanroom manufacturing facilities overseas. The film is made of a tough and durable medical-grade PE film using Anti-Microbial technology. No FUNNY taste thanks to BPA & PVC free feature. Full TPU material provides tasteless and safe drinking experience. All materials meet FDA and EU regulations. Exclusive HF hot pressing tech secures the sealing and auto-locking tube connector stays closed without hose plugged in. Enhance stabilization with baffle on 2L & 3L water bladder for easy & comfortable wearing. Wide open top for smooth filling and can be cleaned with fully reversible design. Built-in hanger for easy air-drying. Tube made out of safe material and bite valve with anti-dust cover. Soft and easy bite for each sip with steady flow and automatic sealing fucntion when not in use. The 1.5L option does not come with the baffle feature. Comes with stabilizing baffle feature. All sizes have an anti-lost strap connecting the bladder and the sliding lock. Hydrated Safely & Healthily - No FUNNY taste thanks to BPA & PVC free feature. Full TPU material provides tasteless and safe drinking experience. All materials meet FDA and EU regulations. 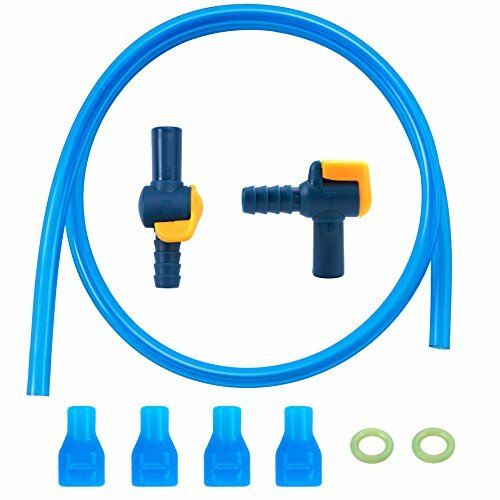 High Performance Leakproof - Exclusive HF hot pressing tech secures the sealing and auto-locking tube connector stays closed without hose plugged in. Exclusive Baffle Stabilization System - Enhance stabilization with baffle on 2L & 3L water bladder for easy & comfortable wearing. Easy Filling & Cleaning - Wide open top for smooth filling and can be cleaned with fully reversible design. Built-in hanger for easy air-drying. Bite to Drink - Tube made out of safe material and bite valve with anti-dust cover. Soft and easy bite for each sip with steady flow and automatic sealing fucntion when not in use. Ideal for fast rides that require only the water on your back, the Katari 1.5 lets you carry the bare minimum. The high-quality, low-profile design features an included 1.5-liter reservoir that slides into its own exterior pocket with a bite valve that attaches magnetically to a sternum strap. A well-ventilated mesh harness offers exceptional airflow and rolled, soft-edge shoulders provide contoured comfort and stability. In the event you find yourself outside when the sun goes down, a loop for your rear tail light lets you be seen. Made with mountain bikers in mind, but practical for any activity where hydration is a must. Not every ride calls for a big pack and lots of gear. When you re looking to get in a quick ride that requires water and not much else, the women s-specific Kitsuma 3 is a quality and functional inconspicuous solution to your hydration needs. Low-profile shoulder straps give way to rolled-soft edges that offer excellent fit and stability. Stay cool and dry, even on hot and steamy days, with a lightweight AirScape airmesh backpanel that also grants full body movement. 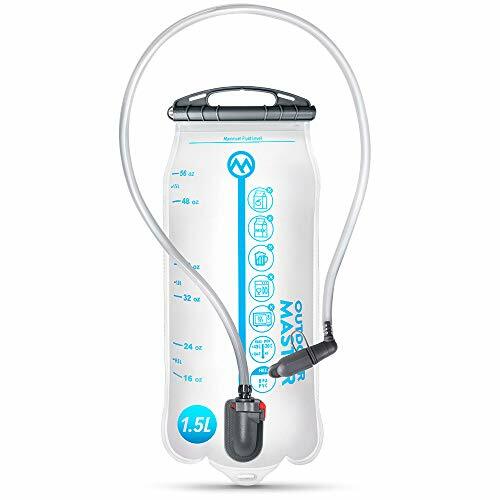 An independent hydration sleeve holds an included 2.5-liter reservoir with a bite valve that attaches to your sternum strap via magnet. Store small easy-access items, like energy bars and arm warmers, in the side mesh pockets and attach a rear bike light on the designated loop should you pedal close to sunset.